Titled "The Chosen," the 40 second video opens with the image of a beautiful, smiling baby girl. Lullaby music plays in the background as the words "she deserves to be loved" appear on screen. On that point, most viewers will concur. Next, we are told that "she deserves to be wanted." The viewer concurs again. Then comes the kicker: "She deserves to be a choice." 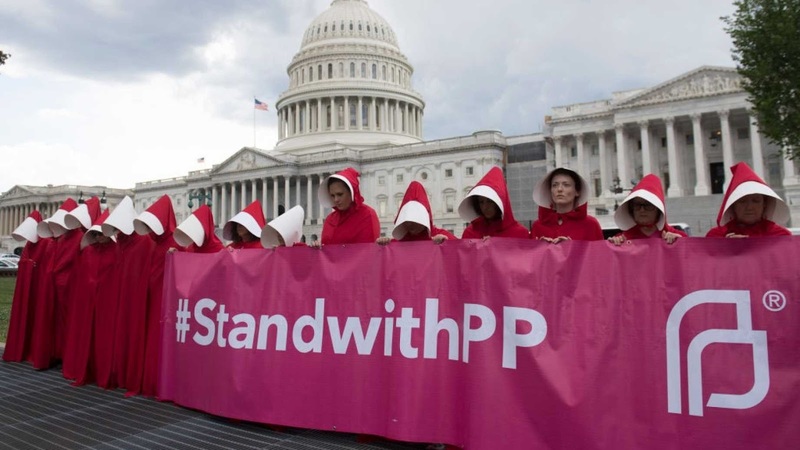 We are urged to "Stand with Planned Parenthood" as the picture fades. We will leave aside the most disturbing aspect of this video: that someone apparently allowed their child to be used for it. What makes the message so barbaric is, first, that a baby's violent murder is presented as something the baby herself deserves. But how could a baby deserve to be executed? To deserve something is to be worthy of it, whether the thing deserved is reward or punishment. So, is the child worthy of punishment? What has she done to earn such a penalty? Or do they mean "deserve" in the sense of reward? Well, what sort of reward is that? Would the makers of this video appreciate being "rewarded" in a similar way? If not, how can they, how can anybody, speak for the child on this matter? I can only assume that some text is missing. Perhaps it's supposed to say: "She deserves to be loved, she deserves to be wanted, but if she isn't then she deserves to die." But that assumes that everyone who isn't loved or wanted by their biological parents would prefer to forfeit their lives entirely, which of course ignores the testimony of many millions of people who weren't loved or wanted by their birth parents and yet have gone on to lead perfectly happy and fulfilling existences. Each individual deserves to make a choice between trying to live through difficult circumstances or giving up. The vast majority, if given the option, will choose the former. But the second thing that makes the ad so disturbing is that it is honest. It shows us not a "clump of cells" but a baby. It calls the baby "she," not "it" or "that thing." It seems almost to go out of its way to highlight the beauty and lovability of the child. It presents human life — wondrous, miraculous life — and says, "Yes, it is good to kill this person."